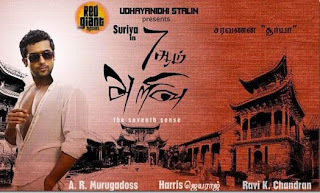 Surya’s forthcoming sci-fi thriller 7am Arivu is being directed by AR Murugadoss. 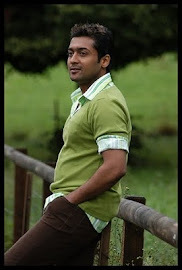 The film will be dubbed into Hindi and Telugu as Surya and Murugadoss has well spread market in both the languages. 7am Arivu stars Surya in a triple role as circus artist, Buddhist monk and a scientist while Shruti Haasan played the female lead. Vietnamese actor Johnny Tri Nguyen played the antagonist in the film. Surya trained for a six pack chiseled torso for a Kung Fu action sequence within 16 days as requested by cinematographer Ravi K. Chandran. The story of 7am Arivu will revolve around a super machine, which is brought to India. The album, composed by Harris Jayaraj, consists of six songs including a Chinese track, sung by Chinese singer Hau.